A melange of earthy reds are interspersed with goldplated heishi. 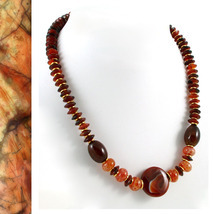 The center stone is natural sardonyx with one side solid earth red and the other exbiting an "eye". It is flanked by crab agate in soft red webbed with peach. 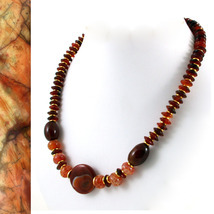 Two more ovals of crab agate have a deep amber tone. The little rounds are natural agate in hues from a carmel red to almost black with goldplated heishi between each. 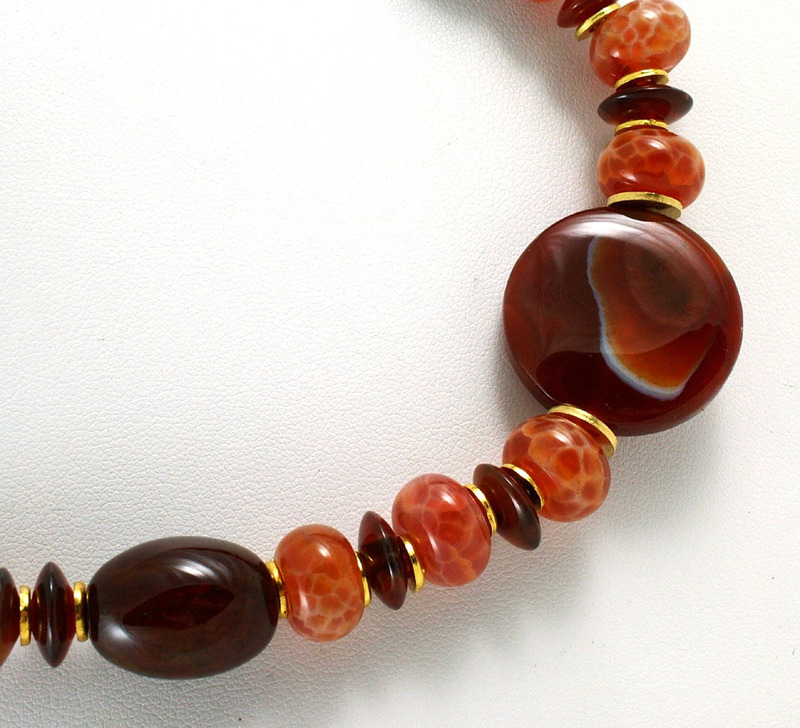 All this is combined in a 20 inch length and fastened with an easy goldplated hook and ring clasp.